Upgrade your headlights without losing the factory look with a set of Xtune smoked black crystal headlights. 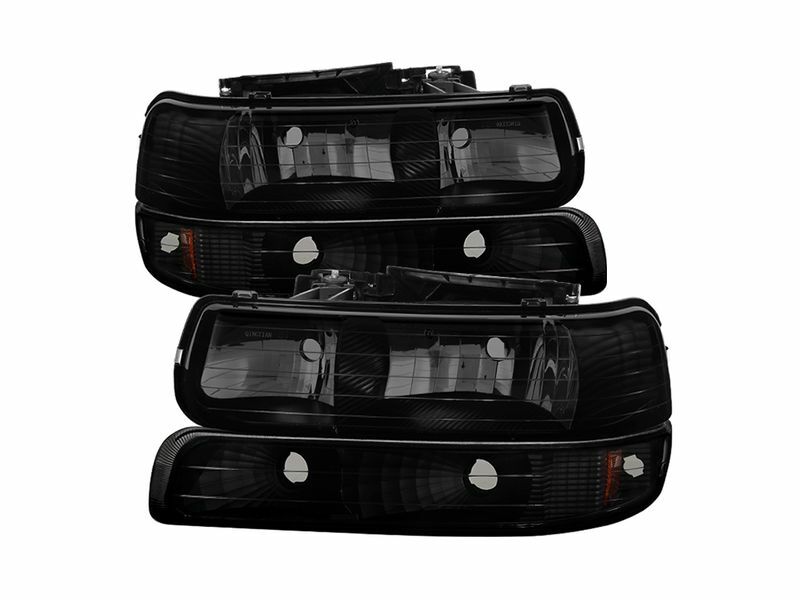 These lights will improve your field of view at night and your vehicle's appearance. These headlights will make you more visible to other drivers and they're brighter than your old factory lights. Xtune has designed their smoked black crystal headlights to be direct replacements for you factory headlights. No drilling, cutting, or special tools needed, a simple bolt-on, plug-n-play installation takes just minutes. These headlights come with a sleek smoked black housing to blend in with your front end. These smoked headlights are show quality but designed for off-road use only and may not meet requirements to be street legal in your area. The clear lens and multi-faceted reflector will provide you with brilliant illumination for years to come. Don't wait any longer, replace your worn out headlights with a fresh new look using Xtune smoked black crystal headlights!